This was my 21st season at Vancouver Fashion week and not many come close to that number. LaSalle College Vancouver (LCV) is one. This was the school's 16th consecutive season showcasing their student's work on the runway and as always was wonderful. In preparation for their appearance, the students are always given a focused challenge to inspire their work. In honour of Canada's 150th birthday, it began this season with the number seven. Seven of their talented students presented seven look collections, each inspired by a painting from the Group of Seven – a group of Canadian landscape painters from the 1920s. I loved that the painting each student chose for inspiration was displayed on the media screen as their collection was shown so we could see their starting point. It helped the audience further understand the designer's choices - fabric, silhouette, palette and aesthetic. Each collection was also set apart by unique music chosen by the student to accompany his work. This season’s show was once again produced by renowned stylist and fashion show producer Tracey Pincott, serving as Artistic Director, in collaboration with international video/photographer Trevor Brady. 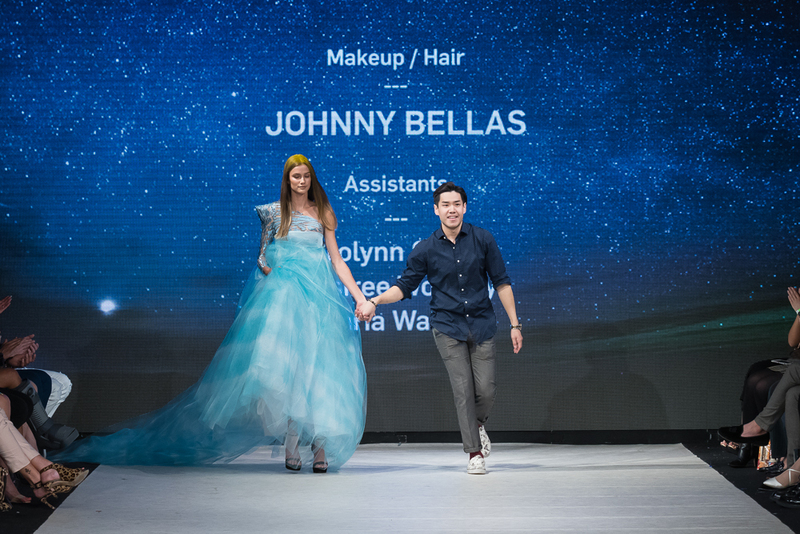 Johnny Bella was behind the wonderful make-up and hair and beautiful Lizbell Agency models helped the students showcase their designs on the catwalk. Well done to everyone involved. Lydia is originally from Shanghai and chose to come to Vancouver to pursue her education in Fashion. She fell in love with the craft of French embroidery and felt the need to make it the focal point of her collection – using muted tones as a backdrop for her exquisite handy work. Lydia is truly proud to have been chosen to represent LaSalle College Vancouver at the Vancouver Fashion Week and to share the catwalk with her fellow designers on Canada’s 150th birthday celebration. Rodica is a fashion designer with creative ambitions. Her journey in fashion began when she was a child, as she always found herself playing with dolls and designing outfits for them. She remembers always asking for fabric scraps from an atelier in her hometown village in Moldova, and running home to create her new designs. She can still recall the excitement of sketching and creating new looks for her dolls, and since then she knew that she had to be a fashion designer. 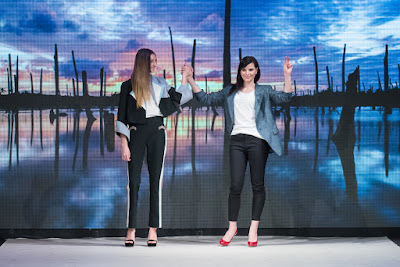 However, Rodica’s journey into Fashion was not that simple and she chose a different path in her career, later coming back to fashion at the age of 30. 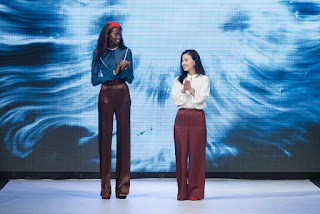 In continuing to chase her dream, she moved to Vancouver and enrolled at LaSalle College's Fashion school. With her past pushing her forward, she is driven to take on any challenges ahead that she might encounter. She dreams big and works hard, and the results reflect on her collections. Ryan has always been a fashion enthusiast from a very young age. Growing up he was deeply influenced by Japanese street wear culture, and as time went by he began to pay more attention to and become fascinated by the high fashion industry. To learn more, he started researching different European fashion houses, and immediately developed a love for elegance and femininity in women’s wear and couture. Ryan went on to pursue a degree in Finance, and then continued on to follow his passion and joined LaSalle College Vancouver to go after his dream of becoming a fashion designer. Lily (Inhye) was born and raised in Seoul, South Korea. She moved to Vancouver, Canada to be a fashion designer and is currently studying Fashion Design at LaSalle College Vancouver since 2015. Lily lives by her motto - "Be creative and make art" – which is reflected in her fashion life. Presenting her first Fashion collection at Vancouver Fashion Week this September, she is in great hopes that this opportunity will bring her one step closer to becoming the fashion designer of her dreams. Melissa was born in China and moved to Canada in 2012. As a child, she always dreamed of becoming a fashion designer. 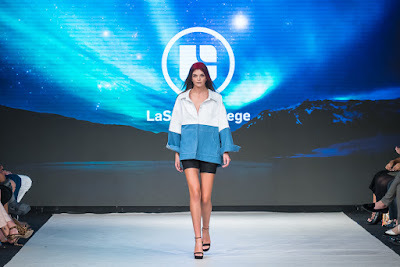 She has worked hard over the years to make her dream a reality, and she is now graduating from LaSalle College Vancouver’s Fashion Design school with a diploma, the Best of Show award, as well as Dean’s Honor Roll recognition. In Melissa’s first collection – Group of 7 – she takes inspiration from Canada’s infamous landscape artists from the early 1900’s. Xiaoyu (Shell) was born in a vast plain grassland of Inner Mongolia, China, and moved to the United States at the age of 10. 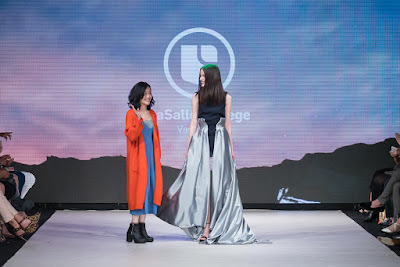 With her multi-cultural childhood, and knowledge of both the English and Chinese language and culture, she is influenced by both fashion cultures from the east and the west. She loves the infinite ideas of transformation and creation, which is what led her to pursue a career in Fashion design. Shell's passion for design began when she was a child, as she enjoyed designing and creating outfits for herself, her friends and family. 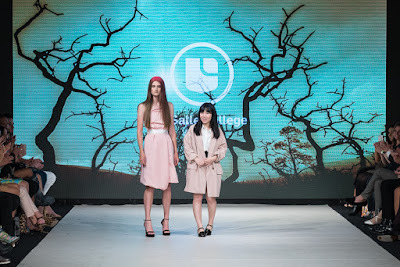 Now, Shell is following her dream of becoming a designer and is studying Fashion Design at LaSalle College Vancouver. Her goal is to become a creative fashion designer with her own brand in the apparel industry. She believes in fashion as a way to show creativity and uniqueness, and looks to influence others to take a chance to stand out from the crowd. Jongwon (Danny) came to Vancouver a year and a half ago from South Korea to study Fashion at LaSalle College Vancouver. Unfortunately Danny has had to unexpectedly return back to Korea to enter into the military and was unable to be present in Vancouver for the show. 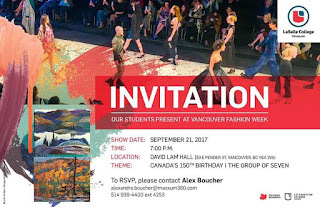 Before he left he expressed: “I feel so honored to have been chosen to show at Vancouver Fashion Week, especially for Canada’s 150th Birthday Celebration! I will always remember my time in Canada and please know how lucky you all are to live in such a beautifully multicultural country.” Danny hopes to return to Vancouver someday to continue his education.